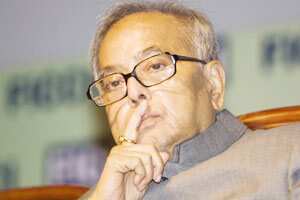 New Delhi: With food inflation declining well below 1%, to the lowest level since April 2006, finance minister Pranab Mukherjee on Thursday said the overall inflation would drop to 6% by March end. His comments followed the latest data from the government that showed food inflation at 0.42% as on 17 December, the lowest in almost six years. “If you confirm for longer period, the fall is sharp," Mukherjee said, while pointing to the data on rise in prices of food items. Food inflation numbers have moderated every week since early November when it stood at double-digit. The finance minister’s projection of 6% inflation by year-end is well below the 7% forecast made by the Reserve Bank. Headline inflation, which also factors in manufactured items, besides food and fuel, has been above 9% mark since December last year. It stood at 9.11% in December and RBI has projected it to fall to 7% by March 2012. RBI has hiked interest rates 13 times since March, 2010, to tame demand and curb inflation. At its Mid Quarter Policy Review earlier this month, RBI stopped further hikes and hinted that the rate may be cut in case inflation moderates.